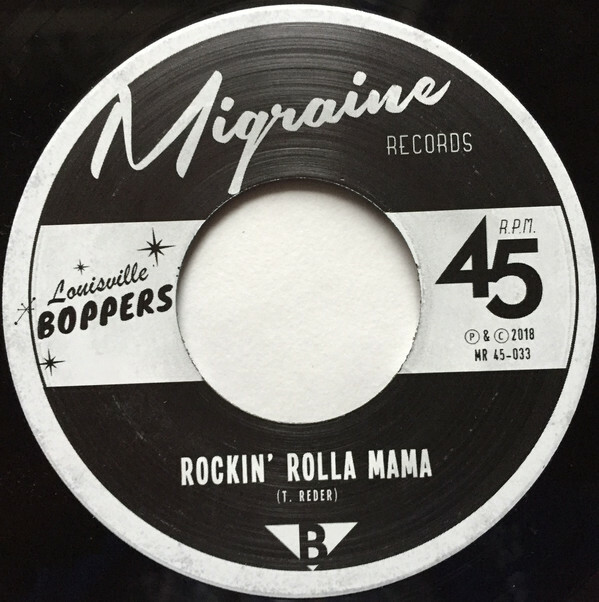 (Migraine Records) 7 Inch , 45rpm, picture sleeve, big centerhole, limited (numbered) to 500 copies. Here we Go! The debut 45' of the LOUISVILLE BOPPERS.This trio (sometimes 4-piece) is one of the hottest, if not thee hottest new band from Germany. Raw Rockabilly straight from the hip. 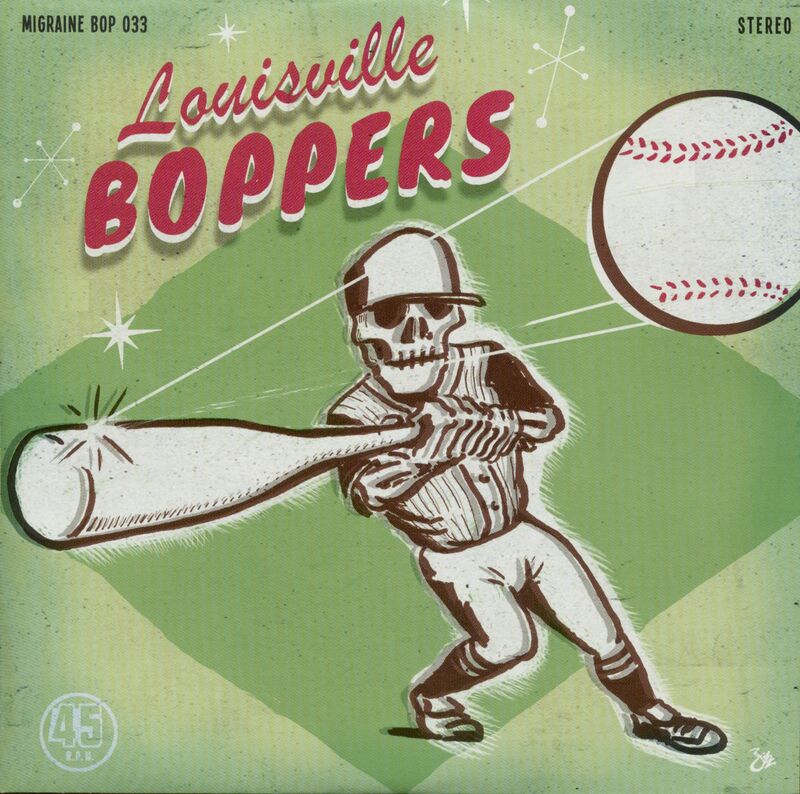 The guys are one of the real deal bands in Germany when it comes to pure Rockabilly, with a cool dash of Blues. Without a doubt they are one of the best new bands Germany has to offer. No mercy... just damn fine Music. Both tracks are selfpenned and more to come.... so better watch out! 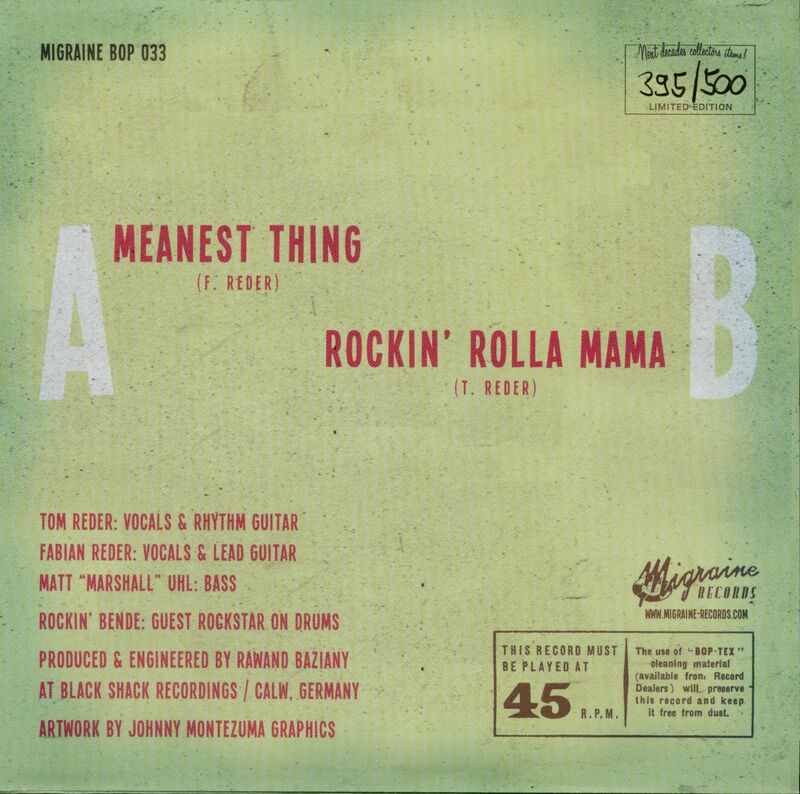 "Meanest Thing" is a great Bluesbopper, whilst "Rockin' Rolla Mama" is having a bit of a roadhouse twang.... enjoy! 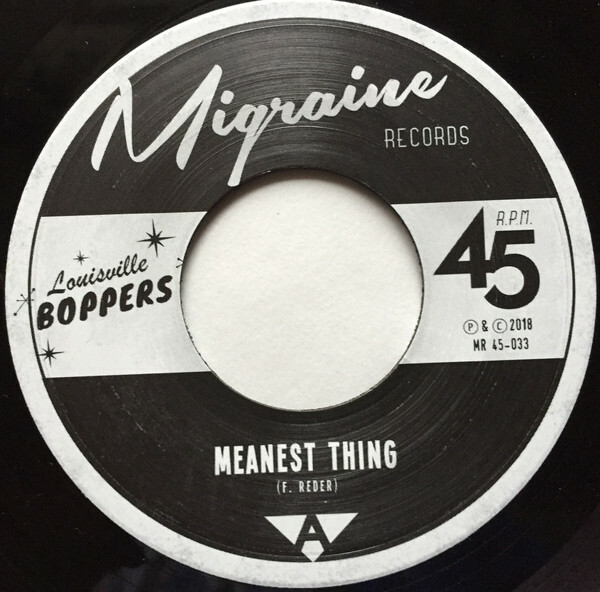 Customer evaluation for "Meanest Thing - Rockin' Rolla Mama (45rpm, 7inch, PS, Ltd.)"